Tree Removal - Sometimes it is Necessary? Sometimes trees need to be cut down and removed due to a variety of reasons. Everyone loves trees, no one more than ourselves, however often tree removal is necessary for very practical reasons. No matter the reason though, Youngstown Tree Service can remove you tree professionally and affordably. 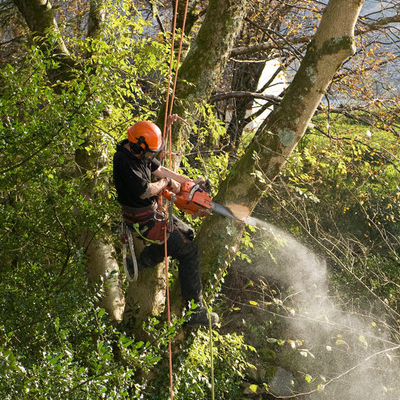 Tree removal can be practical and absolutely necessary under a variety of situations. A disease can cause a tree to die or look very unappealing in your landscape. Insects, such as the Emerald Ash Borer, can also severely damage a tree and/or cause it to die. Strong storms, wind, lightning, ice, etc call all cause significant tree damage rendering it unappealing and or dangerous. Any tree that has been damage creating a hazardous situation on your property should be removed immediately. Lastly, and very commonly, a tree can be removed for landscape reasons, such as creating too much shade for grass to grow or was planted in the wrong area, such as too close to your home. Regardless of the reason, we will be quick to come out to your property to assess the tree(s) you would like removed, provide you with a free written estimate, and then quickly get the job scheduled. 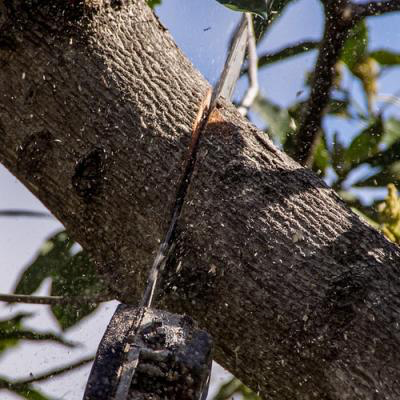 The procedure for a tree removal, while not difficult, does require specialized knowledge, skill, and equipment. This is definitely true for larger more mature trees and trees that are near structures and/or electrical power lines as they potentially create a danger if not removed correctly. Also, multiple-trunked trees, like Honey Locust, are more complex to remove due to the trunks often leaning and have multiple ones to deal with. While the typical property owner can definitely remove small trees, larger more mature trees should always be left to qualified tree service companies. Tree removal commences with either one of our tree cutters scaling the tree or using a bucket truck to start cutting large limbs near the top. We will only utilize the truck if it can safely access the tree without hurting nearby landscaping; otherwise, we will scale the tree to being the removal work. 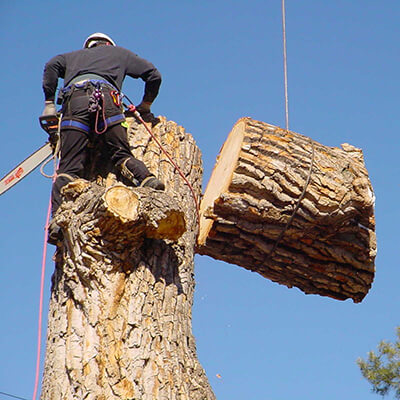 Once safely near the tree's crown, our cutter will begin to remove limb by limb, efficiently lowering them where our crew on the ground will cut them into three-foot logs. This wood can either be disposed of or stacked in a location on your landscape. If the wood is of firewood quality, like hardwoods, it will provide outstanding firewood. Softwood trees are rarely suitable for firewood. As our cutter reduces the tree, we will be left with only the trunk when all the limbs have been removed. At that time, we can cut the tree trunk down to the ground suitable for stump grinding. During this entire project, our crew on the ground will make sure the area around the tree is maintained free of twigs, small branch, and other tree debris. All of this will be removed and feed into our woodchipper. Tree removal, even for the largest specimens, generally takes a day or less. Stump grinding after the tree is removed is usually scheduled for the following several days, depending on our schedule. Throughout the entire job, Youngstown Tree Service will maintain our teams' safety and the protection of your home. We are insured and licensed for your protection against all mishaps or damage. While accidents are extremely rare, is prudent to over-insure ourselves. When we depart your property, all evidence of our tree work will be cleaned-up other than one or several removed trees.